Triumph Tiger. All-new bike. All-new excitement. The ultimate choice for the long haul adventurer with class-leading handling; and a brand new, 1215cc engine, with shaft drive of course. This is a Triumph built to take on the World. The ultimate choice for the long haul adventurer. Class-leading handling. The journey doesn’t have to end when the Tarmac does. Brand new, 1215cc engine, with shaft drive of course. A Triumph to take on the world. 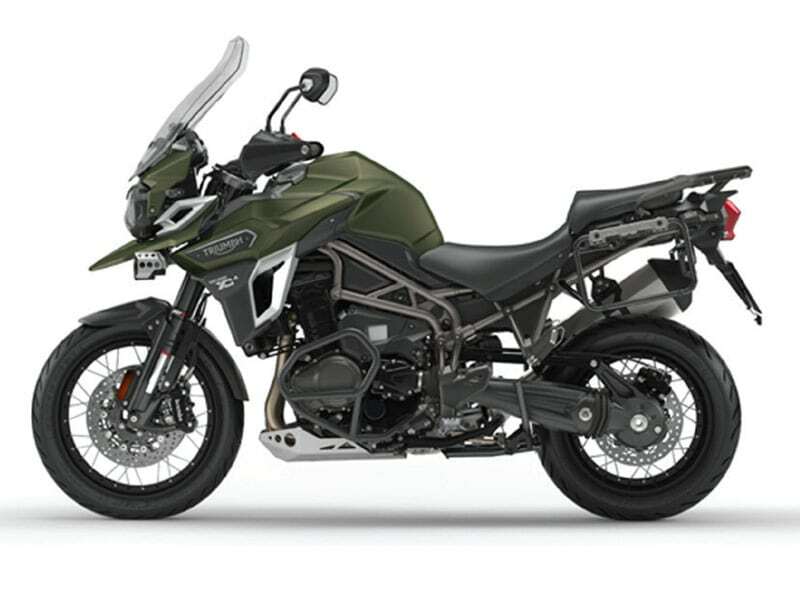 Powered by an all-new 1215cc three-cylinder engine producing a class-leading 137Ps with 121Nm of torque for effortless overtaking combined with an exciting top end growl, the Tiger sports a high-specification that will see it set a new benchmark in the adventure touring class. Tough steel chassis and adjustable sturdy 46mm forks have been designed to cope with the worst that the conditions can throw at it, while 19” front wheel offers excellent on road agility and handling characteristics. Designed to offer maximum comfort for rider and pillion, the Tiger comes with adjustable rider seat height, handlebar position and screen for day long comfort in the saddle.